As a blogger, there are two categories that one finds oneself placed into: Are you #PakPositive or will you be labeled as “anti-Pakistan”? Being PakPositive is easy. You simply re-Tweet certain accounts, post nice articles about youngest Microsoft certification or some obscure economic news or ready made photos of Gen Raheel and move on to the next thing. It requires no thought. Thinking will get you in trouble. Thinking is the fastest path to being labeled ‘anti-Pakistan’. This is because thinking requires facing difficult and uncomfortable truths. Truths that we wish didn’t exist, and don’t give a good image to the nation. Every nation suffers from uncomfortable truths. I could fill an endless timeline of tragedies taking place in India and I would be labeled as pro-Pakistan. How is it pro-Pakistan to talk about India’s troubles, though? If I blog about rapes in India, does it make women safer here? Will blogging about Hindu extremists prevent another Taliban attack in KP? If I write an expose on oppression of Dalits, will Ahmadis be treated better? Complaining about the stench coming from your neighbors house will not put out the fire raging in your own. That requires first pointing out that there is a fire and second figuring out how to put it out. But what if you are not allowed to point out that there is a fire? This is becoming the case increasingly, where not only do you run the risk of being labeled as anti-Pakistan but if you have a loud enough voice you may never be allowed to speak. 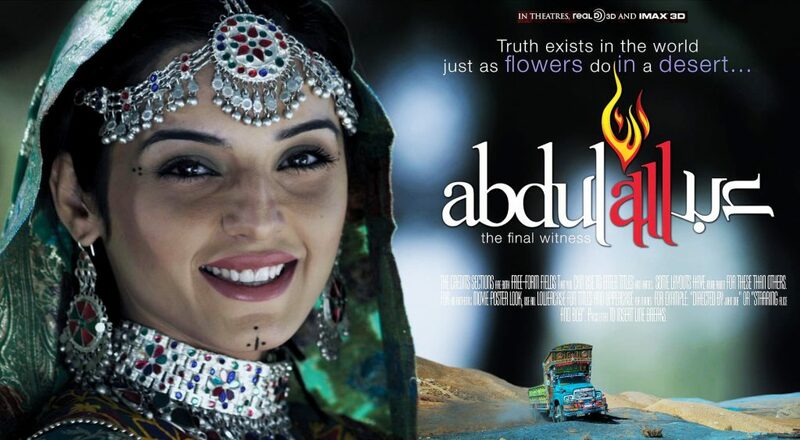 This is the case of Hashim Nadeem’s latest film Abdullah which was blocked by censors for being anti-Pakistan. What was anti-Pakistan about it? The film is about the Kharotabad incident of May 2011 that claimed the lives of five foreigners, including two women, one of whom was pregnant. Frontier Constabulary personnel deputed at the Kharotabad checkpost in Quetta claimed the foreigners were suicide bombers and gunned them down brutally. The incident was caught on camera by a local journalist and aired on news channels, which then reported the five were innocent. Later, a police surgeon who had conducted autopsies on the five victims was shot dead. The surgeon had contradicted claims made by the police and FC personnel that the five were armed and were suicide bombers. This is actually a very important story. Who is right? Could there have been a mistake? How can such mistakes happen? Unfortunately, even as adults we are treated like small children who are too simple and naive to understand such complexities. These uncomfortable truths are hidden away. However hiding them does not erase them. Censoring news or films about the surge in encounter killings does not mean that no innocent people are killed unjustly. Hiding the details of over 8,000 missing Baloch does not make them all terrorists. If we are going to solve the problems that the nation faces, we first must be willing to admit that the problems exist. Then we must have an open dialogue about how to solve them. There is nothing to be gained by hiding uncomfortable truths. That is what has brought us to the sad state we are in now. As the poster for Abdullah notes: Truth exists in the world…whether we like it or not. This entry was posted in Blogs and tagged censorship, media, PakPositive by Mukhtar Ahmed. Bookmark the permalink.